Cranberry juice is very popular simply for its taste. Of course, this is a matter of personal preference and many people do not like cranberries. However, cranberries not only taste good to many, they offer a range of different health benefits. Cranberry juice is chock-full of vitamins and antioxidants, as well as other beneficial nutrients. These various ingredients in cranberries have a wide range of positive health effects. This article will focus on the positive health effects that cranberries have on skin specifically. Making cranberries part of your everyday diet may result in noticeably healthier skin. To learn more about the skin care benefits of cranberries, read on. It may be surprising to learn that among the wide range of benefits of consuming cranberries, is a varied set of skin care benefits. Cranberries, unlike many other foods that have positive skin effects, offer multiple different benefits that don’t seem related to each other at first. It can treat oily skin, serve as a natural lip gloss, help skin produce collagen, fight against aging, help with acne, and even work as a cleanser. This set of powerful benefits make cranberries one of the best foods for skin that you can eat on a regular basis. Even better, many people find cranberries to be quite tasty, especially relative to many of the vegetables that are known to have skin care benefits. Cranberries can be an excellent treatment for oily skin. Many of the most common treatments for oily skin are artificial products that contain many of nasty chemicals. Cranberries, obviously, are all natural. The natural acids in cranberries help to strip away excess skin oil. This can be done by mixing cranberry juice in oatmeal, sugar, and olive oil to make a sort of natural toner and exfoliator. This will prevent the formation of excess sebum, which will also help with acne, as specified below, and will strip the excess oil off of skin. It may take a bit of trial and error to figure out how to remove the right amount of skin oil, as a certain level of sebum is actually healthy. There are many different mixtures and procedures that are aimed at using cranberries to treat oily skin. You may have to do a little bit of research to find which mixture works best for your skin. This may be the most surprising benefit of cranberries. Many women like to wear lip gloss as opposed to lipstick, but lip gloss often contains potentially harmful chemicals. Cranberry can be used as a natural lip gloss that will not cause adverse skin effects. There are different recipes and procedures available on the Internet for using cranberries as a lip gloss. However, the common denominator is that it is quite easy to make at home. If you’ve done any research into the basic mechanisms of skin health, you’ve no doubt have heard about collagen. Collagen is required to keep skin soft, firm, and glowing. In short, it helps keep your skin young and fights against aging. Cranberries are very high in vitamin C, which is a precursor for several nutrients such as various amino acids, hydroxylysine, and hydroxyproline that the body needs to produce collagen. Drinking juice for skin health is especially important in the winter, that skin will often start to get dry, sag, and develop more wrinkles in the winter. The collagen precursors in cranberries are important for fighting against aging. However, these are not the only nutrients in cranberries that can keep the skin from looking old. There are many different antioxidants and amino acids in cranberries that can help skin glow and fight against wrinkles. The beneficial effects of the amino acids and antioxidants, especially in conjunction, are not very well understood yet. However, there is some evidence that this combination of various amino acids and various antioxidant nutrients can be a powerful natural anti-aging defense. Acne is a very common skin problem. Of course, it is most common in teenagers. However, many adults also struggle with acne. Acne can be very difficult to get rid of. Even many of the products that are successful in fighting against acne cause problems such as dryness and irritation. Cranberries do not cause such side effects when used to fight acne. There are two reasons that cranberries can fight against acne. First of all, cranberries have antiseptic properties. This means that using cranberries to fight acne will result in killing some of the bacteria that causes acne. Also, cranberries are known to fight against oily skin, which is not the root cause of acne but certainly does exacerbate acne. In fact, cranberries have been proven to be one of the most effective natural substances for fighting against acne. All the different benefits of cranberries add up to make it an excellent skin cleanser. It can be an important part of your skin washing routine. Different benefits of cranberries mean that decision is part of your routine can reduce acne, fight against oily skin, and even fight against wrinkles. Many people simply like to mix cranberry juice with hot water and wash their faces as they would normally. However, there are other ways that you can use cranberry juice as a cleanser. A little research will reveal different methods that you can try out. Everyone’s skin is different, so you may have to try a few to find the method that works best for you. Cranberries are known for offering a wide variety of different beneficial effects, including those on the skin, our body’s largest organ. Minor problems with skin health are very common, and nearly everybody is a little unhappy with the appearance of their skin. Many skin care products that are produced to fight against various problems have nasty chemicals and can cause side effects. 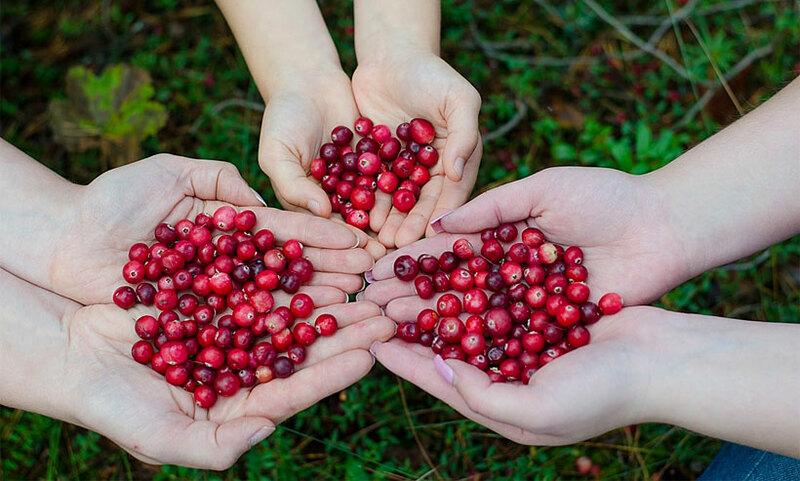 More and more people are turning towards natural substances for skin care, and cranberries may be the most effective.